Okay, so it’s been a few weeks since I’ve written on the blog. And even longer since I’ve promoted any of my writing on my Facebook “business” page. And honestly? I could blame time. It’s the crucial resource in a writing life (or any life, for that matter). I could say that I’ve been busy working full-time, freelancing on the side, applying to graduate schools — and all of that would be true — but I’d be lying. I recently joined an online community called Hope*writers, and I was listening to a Podcast of theirs a week or two ago about making time to write. How any of us manage to do it when we’re all saddled with extra obligations is astounding, and yet there are so many people who successfully juggle their writerly calling with the demands of being a functioning human. Time was the first excuse to be tackled in their discussion, since we all have the same number of hours in a day. If you want to write, you’ll make the time. Simple as that. So then, if I’m not making the time to write, I must not want to do it as much as I think I do, right? Though that’s an absurd thought to entertain. I love writing. This is what I want to do, who I want to become: a weaver of words and a healer of hearts. So why is it so hard for me to just do it already? Like for real, on a regular basis and everything? The Hope*writers had an insight for me there, too: if I’m not making the time to write, it means I don’t really believe I have something to say. 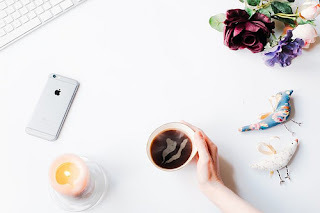 I could be one of those people who begins her day with thirty minutes of writing and posts something every day, or at least more consistently than just “whenever I feel like it”. But to do that, I’d have to believe that all of my little thoughts, as well as the big ideas I blog about from time to time, mattered and meant something to the people who were reading them. And the problem is… I really don’t. I believe only my best bits — the thoughts and ideas I’ve had so much time to hone and perfect and ponder — are worthy of sharing, and still then, I feel like there are so many people who don't really care. I can’t let my readers see the imperfect. Would they listen to all of my sweet nothings when it's so tough to build an audience as is? Truthfully, some of them won’t. But just because people don’t listen doesn’t mean I shouldn’t write. Not when I know that God wouldn’t have given me this skill set if this weren’t how He wanted me to love the world. I know I’m not the only one who struggles with this. I know there’s lots of creative work that isn’t being done because we’re afraid of being unheard, and we want to be heard. And listened to. That means we matter. Are our efforts in vain otherwise? Let’s be clear about one thing: the truth of you having something to say is not diminished by any one person’s unwillingness or inability to hear it. So pick up that paintbrush. Strum those strings. Write the song, the story, the poem. And do it even if your work resonates with only one person. Do it for that person, that one person whose life will be changed because of what you do, who will see the world in a new way because of your perspective. Every minute you wait is a minute you’re depriving the world of something only you can give to it. So let’s be bold. Let’s be brave. Let’s be creative. And let’s be consistent. The world needs you. And you are so loved.